Reinhold Bogner had been designing and building amplifiers long before leaving Germany for Los Angeles in 1989. Soon after arriving he quickly gained the respect and trust of many influential players including Steve Stevens, Dan Huff, Allan Holdsworth, Mike Landau and Steve Vai, with each of them seeking his skill to modify and custom build their amplifiers. Word traveled quickly that an insanely talented amp designer had just arrived in L.A. and this lead to Edward Van Halen entrusting Reinhold to overhaul and revitalize his iconic Marshall Plexi. Eddie was very pleased. Bogner Amplification was born. From the legendary Ecstasy to the Shiva, the Uberschall and beyond, Bogner Amplifiers have not only inspired the countless artists who rely on them for their signature tone, but have changed the perception of what an amplifier could be. Relentless in his pursuit of creating new, unique and inspiring tones, Reinhold continues to discover. His designs are unlike any other yet they incorporate the feel and tonal inspiration of classic circuits but with amazing flexibility and sonic range. 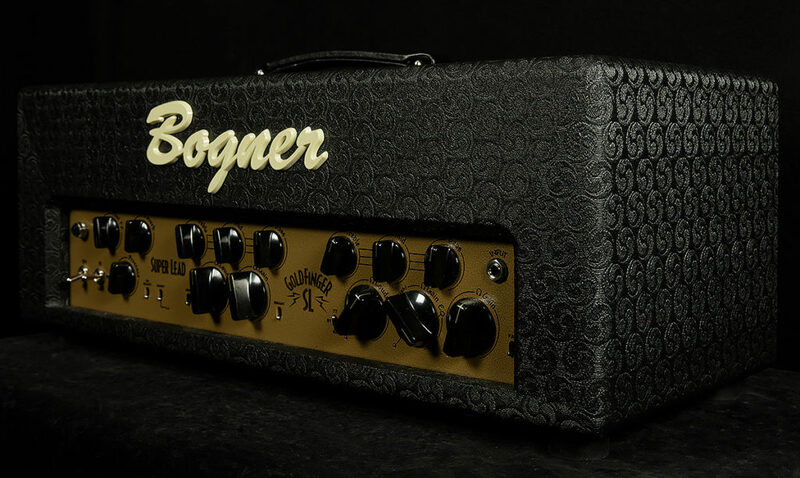 Wildwood Guitars is honored to present one of our absolute favorite amplifier lines: Bogner Amplification. Check out this Wildwood video of Prashant Aswani showing you everything about the GF45-SL Goldfinger Superlead! Head over to our Bogner page find out more about the GF45-SL Goldfinger Superlead and the rest of our fantastic Bogner inventory!